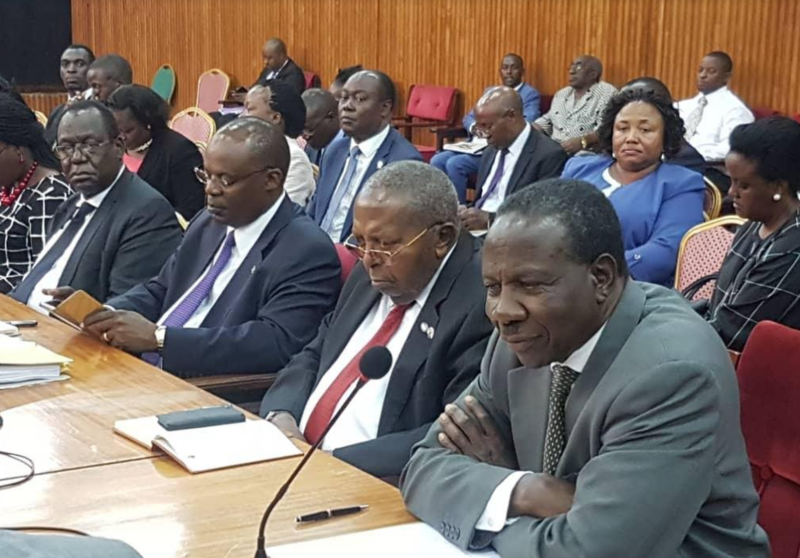 PARLIAMENT – The probe into the closure of the seven defunct banks by Bank of Uganda (BoU), having gone on from November 2018 by the Committee on Commissions, Statutory Authorities and State Enterprises (COSASE) is set to end today amidst concerns by some MPs that some staff at the Central Bank are working at frustrating Governor Emmanuel Mutebile’s leadership. It should be recalled that COSASE requested the Auditor General on November 28, 2017, to undertake a special audit on the closure of commercial banks by BoU. The Central Bank has closed seven banks including Teefe Bank in 1993 due to insolvency, International Credit Bank Limited was taken over on 18th September 1998 as result of poor liquidity and insolvency. BoU also closed Greenland Bank on April 1,1999 citing insolvency and violation of certain provisions of the Financial Institutions Statute and later, the Cooperative Bank followed suit with the Central Bank taking over the entity 19th May 1999 continued poor performance and non-compliance with regulatory capital adequacy requirements, and the National Bank of Commerce on September 27, 2012 due to under-capitalization, while Global Trust Bank was closed on July 25, 2014, due to under-capitalization and Corporate governance weaknesses, and Crane Bank Limited was the recent bank closed on October 20, 2016 due to under-capitalization. The MPs’ concerns followed an admission by Mutebile that he hadn’t been furnished with any responses from shareholders of the closed banks despite assigning two staff to attend Committee proceedings the whole of last week. The Governor’s response shocked MPs with Katuntu asking BoU staff to be fair to their head, saying there is need for responses on allegations made by shareholders before the Committee embarks on report writing this week. Kasilo County’s Elijah Okupa lashed out at the two staff Jonah Waiswa and a one Yiga for attempting to fail the Governor, wondering what motives they had to hide allegations raised by former bank owners from their boss. Katuntu said: When we were having the last meeting, I did ask Governor to assign officer to the Committee so they follow and brief you. You need to clean up your house, how, I don’t know. Yiga pushed the blame to Waiswa saying it was upon him to deliver the documents to the Governor’s office, but Waiswa denied any wrong doing saying he delivered the documents to the Governor’s office, handing them to his personal assistant.